The rural Latino population continues to spread to points beyond the traditional Southwest where they have been clustered in the past. The rural Latino population is young and faces social and economic challenges associated with low levels of education and high rates of poverty. This is also a population that has high levels of employment in jobs that typically offer no -- or at best, limited -- benefits such as health insurance. 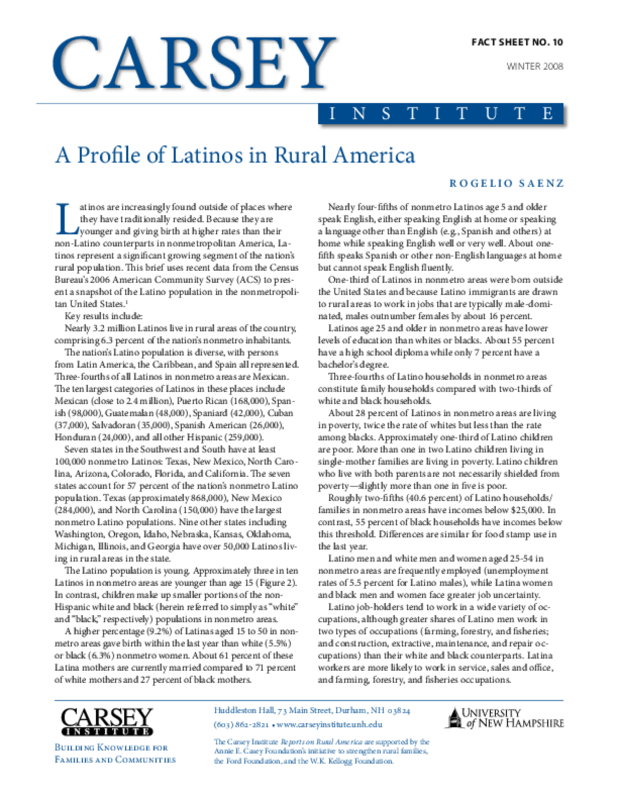 Given that many rural communities are growing in numbers largely due to the Latino population, rural policymakers and community leaders need to develop routes for upward mobility to ensure that Latinos prosper in their communities.